What Is Buprenorphine Used for in Cats? Buprenorphine for cats is a powerful short-term pain relief medication. It is an opioid, and thus it is available only by prescription. 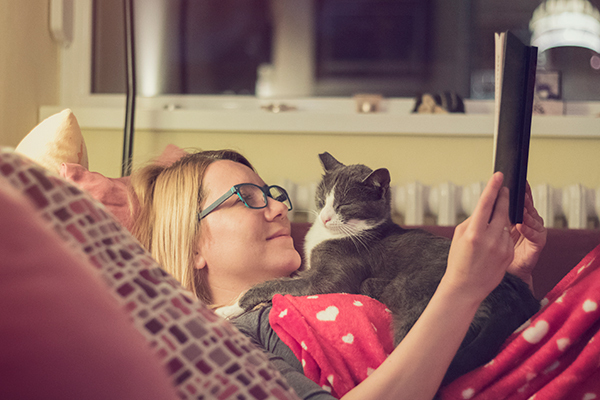 Cats are like any of our close friends or family members when it comes to health; we never want to see them get hurt, suffer debilitating illnesses, or require major surgeries, but these things can and do happen. There are, of course, tons of pain killers for humans in these sad eventualities, but what pain relief options are available if you have a cat in pain? One powerful short-term analgesic has been the focus of increased use and study in cats: buprenorphine. There’s plenty to unpack here, first in terminology, then in proper use, and finally in potential side effects when it comes to cats. After all, in humans, buprenorphine is an opioid that is commonly used to wean people off addictions to other opioids, such as heroin. Fortunately, there are not a lot of cats who are smack addicts, and the dosages for cats are far smaller and prescribed with great care by certified veterinarians. 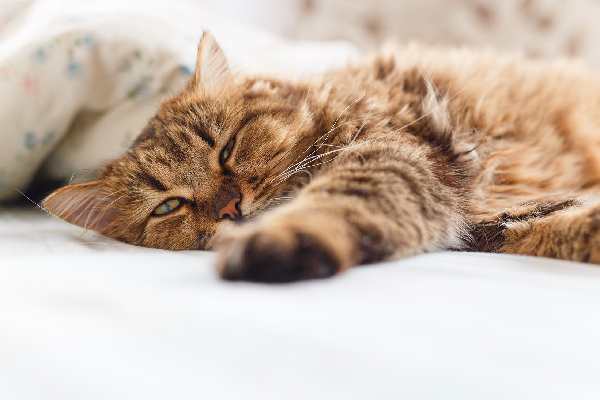 Buprenorphine is one option for short-term cat pain management. Photo via Wikimedia Commons. What is an analgesic? What is an opioid? Let’s quickly and briefly define some of our terms. When it comes to caring for cats, we should be well aware of what exactly we are giving them in service of pain relief. “Analgesic” is the simplest place to start. Not to go too far down the etymological trail, but the word derives from Greek, and it means a method of freeing someone from pain. This includes medications ranging in strength from children’s aspirin and mundane, over-the-counter things such as ibuprofen to dangerously -addictive drugs such as morphine and buprenorphine. These last two are classified as opiates, or, more broadly, opioids. What are opiates, then? And how are they different from opioids? Strictly speaking, a proper opiate is a medication whose direct source is found in the poppy plant. An opioid used to be medications synthetically crafted to mimic or duplicate the actions of naturally derived opiates. Today, “opioid” is the preferred nomenclature, because it encompasses natural, semi-synthetic, and purely synthetic products. Opioids do not treat the source of pain or distress, they simply block receptors in the brain that send pain messages to the body. Cats generally have a poor tolerance for opioids. One major reason is the drugs’ power and effects on our small feline friends. Aside from masking pain, opioids also affect and slow down respiration. However, buprenorphine, often administered under the name Buprenex, was found to be a welcome exception. Buprenorphine is a semi-synthetic opioid, which is neither as strong, as long-lasting, nor as potentially addictive as other human opioids such as hydrocodone or morphine. This pain medication does not affect or depress breathing as much either. Buprenorphine is prescribed by certified veterinarians in small and measured doses determined cat by cat based on weight, age, and overall health factors. These include liver and kidney function. As opioids work their way through a cat’s body, they are filtered and eventually pass through the system by the liver and kidneys. A cat who has major issues with these filtration organs, or one with thyroid problems, may not be a candidate for buprenorphine use. Lung health is also a factor; even though this opioid doesn’t affect breathing as much, it can be dangerous for cats with respiratory problems. After major surgery, cats require pain relief medication. Photo by Sarah Korf on Flickr. A cat who has suffered a severe trauma or dramatic physical injuries is a potential subject for buprenorphine treatment. The drug is used to relieve pain and increase feelings of euphoria in cats after major surgeries following incidents of these kinds. It is also finding increased use in adult cats taken in for spaying and neutering surgeries as a pre- and post-operative means of pain control in the first place and relief in the second. I say “increased” use, but this does not mean it is commonplace. Buprenorphine is a very powerful medication. Certified veterinarians use it in situations where a cat is believed to be in extreme pain, anxiety, and distress, either because of injury or in response to surgery, and is not responding as hoped to more common alternatives. Anyone who’s had a painful surgery knows, post-operative stress and anxiety can be just as deleterious to health and recovery as the physical pain itself. So it is with cats, and buprenorphine helps to mask their pain in an effort to avoid decreased appetite, negative changes in behavior, and other consequences of physical pain. While it is becoming more widely used for pain relief in cats, buprenorphine still carries risks for cats. Their smaller bodies can react in a variety of ways to this opioid, so typically it is administered by the veterinarians themselves so that the reactions can be closely and carefully monitored. It is given either as a direct injection at the site of the surgery or trauma, or rubbed into the gums. Both methods seem equally effective and allow the pain killer to work before the liver and kidneys filter and pass it out of the system. A standard dosage takes about half an hour to 45 minutes to start working, and its effects on a cat can last from four to eight hours. Because the medication does not last very long in a cat’s system, buprenorphine is usually given two to three times a day for as long as five days. The reason for this isn’t necessarily because of its addictive qualities, but rather because at this point, it can have negative impact on a cat’s appetite and weight. There is no real standard yet for buprenorphine in cats because cats have such a variety of reactions to it. Side effects, as they say, are generally mild, but can include the aforementioned appetite loss and slowed respiration. Some cats can have allergic reactions to it, and it should never be taken in combination with other medications, including certain flea and tick preventatives. Certified veterinarian prepares buprenorphine for a cat by Shutterstock. One of the most bizarre facts I found in researching buprenorphine use in cats — especially side effects — is that not only does it interact badly with other medications, but also with certain kinds of aged cheese. I couldn’t make that up if I tried, so make sure you keep your cheese plates and other hors d’oeuvres well out of the reach of your cat if she is recovering from a major surgery. 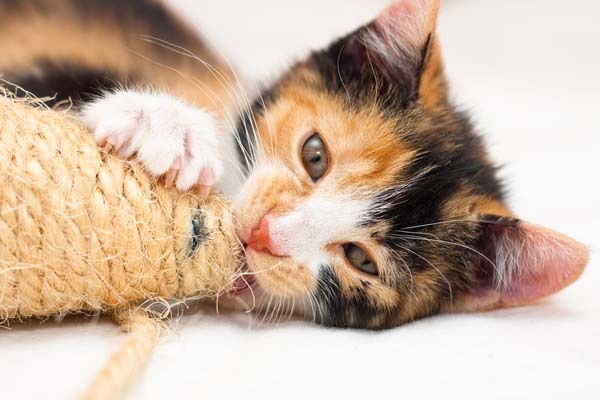 At the risk of sounding like one of those interminable and omnipresent commercials on television, buprenorphine is not recommended for use on kittens, senior cats, or those who are either pregnant or nursing. Opioids are too powerful and unpredictable for very young or old cats, and too risky for unborn or newborn cats and their mothers. A 2014 study of buprenorphine use in cats was largely inconclusive. Researchers found it to be generally safe in proper doses and with careful veterinary monitoring, but they stated that its effects and utility, as a pain reliever and a sedative for cats, can be inconsistent. I still have fluid Buprenorphine, in the refrigerator for about one year old, is it still working? I will never give him that medicine again. Can Buprenorphine be used with a steriod? Thanks for commenting! Please contact your vet with this question. My cat is on prednisolone and was just given Buprenex for post surgical relief. My 14 year old asthmatic Manx boy was prescribed oral buprenorphine 0.2 mls every 12 hours by mouth but he has also been on Flovent twice daily for 9 years. I am scared to give him the buprenorphine due to his asthma, since all things that I read says to be careful if cats have breathing problems when giving the drug, which he already has problems. The drug was prescribed for him due to a sprained hind leg, so what do I do, let him suffer or take a chance that he will not survive the meds? Thanks for reaching out! We suggest contacting your vet to see what is best for you cat’s health. Definitely triple check with your vet. But for some purely anecdotal insight, my 15-year-old girl with asthma has been prescribed the same or higher dose a few times and has done okay on it. She’s also on Flovent. The Bup makes her sleepy and we’ve experienced some appetite loss. I didn’t notice any worsening in her breathing. Our vet gave us an appetite stimulant while on it the last time and that seemed to help. Every pet is different though. I’m caring for a male abandoned cat (he’s a love-bug, 3 years old) and just had him neutered. He’s at my home, mostly in a very large crate, but I let him out occasionally. He’s on .4ml 2x a day, and he’s ok, but he has gotten so weird about the litter box. He will NOT use it, he seems to be urinating on his blanket or in his water dish! Is this the neutering or the medication….or both? Anyone know?? I gave him 4 of the 5 doses, I may just stop here and not give him the 5th. He does seem perfectly fine in terms of pain. Thanks for reaching out! We suggest contacting with your vet for advice on this specific question. Our little 3 yr. Old was given it post operative surgery. Removal of foreign object from his stomach. Giving him .2 ml every 8 hrs. 3 x daily. So far so good. He didn’t eat in ER for 2 days. Once home appetite is coming back. Hate seeing the e collar restrict him more than anything. But after a $3k bill, those staples are not being chewed out on my watch???? My vet recommend this for travel. Only giving 0.2 ml by mouth. Has anyone tried this and what happened? My 17 year old boy is taking for cancer related pain and tolerates it quite well, although his appetite is an issue. We tried other pain medication, but he had a lot of side effects. I have a 14 yr old Female cat her name is Mippers.. She gets ear infections which have all kinds of effects on her balance, sight etc.. She Mows when it hurts and I give her the prescribed dose of oral. She tolerates it well with some normal affects of opiate pain medication..
Did you find your cat geting skitsy and watching the shadows… Like halusinanting? And not wanting you near them too? yes that is exactly how my male cat acted after taking this med after being neutered. our female is also on the same drug after being spayed and she showed no side effects. he was extremely jumpy and nervous, if i touched him gently on his head he jumped up in the air! i stopped his med as he seems better without. My 10 yo has occasional bouts of UTI, and the most recent was quite nasty. She was given a shot of this at the vet, and we administered another 6 orally at each end of the day. We couldn’t be happier (and neither could she). No obvious pain, eating extremely well, sleeping better, no constant vocalisations. Yes, her pupils are large, but she couldn’t be more relaxed or content. This is so at odds with her usual behaviour that we’d like to keep her on it for ever (just kidding). Reading some of the other comments, it looks like we are fortunate that she hasn’t had an adverse reaction, but it has worked well for us. My 12 year old had surgery on both of her eyes and was given an i/v of buprenorphine in the hospital for 3 days. When I got her home, she displayed bizarre behaviour (hard head butting, rolling on the floor, fitful sleep with active dreams). When I gave her her nighttime does, hell unleashed itself. She didn’t sleep a wink from 11pm – 6am. She spent the night freaking out at familiar inanimate objects. Staring into space, excessively drinking and pawing at water, bouncing off furniture, lying on the floor and snoring face down for a few mins. Her eyes were crazy wide and I didn’t recognise the cat I’d brought home. Suffice to say she hasn’t had another dose since. She has shown no signs of discomfort so I was delighted to get her off it. Never again (unless it’s the only option on this planet)! my cat was just given injectable bupronorphine after spay surgery and 1 1/2 hr later has gone insane, high pitched screaming, attacking, hissing, growling, hugely dilated pupils. the 3 vets had never seen it before. I left her at the vet and we’re hoping she stops this before they close. You described my cat’s behavior on this medicine exactly. Completely unlike him. I agree with some of your behaviour mentioned. My cat had a tooth extracted and when I brought her home, she was staring at the walls for hours, then running around at warp speed, would lie down on a rug and roll around like she had been sniffing cap nip. Never again will my cat have this. She isn’t the same cat I dropped off at the vet. I’m hoping slowly she will return to her old self. 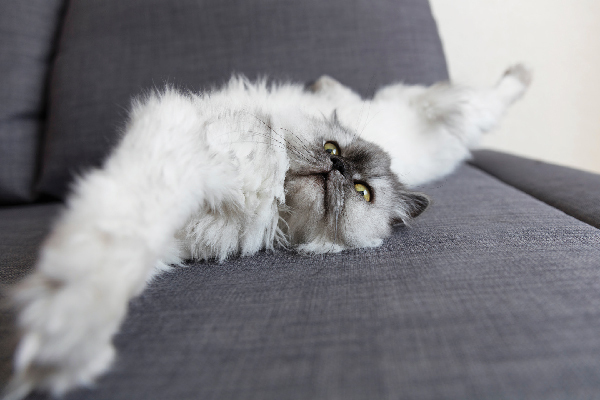 Did your cat ever regain normalcy? My cat is having these exact same symptoms and has so for 3 full days since having been injected with the opiate by our vet. I have a 7month old kitty who recently fractured her ankle. She has been put on buprenorphine in 12hr increments. She was also put on Flagyl for loose stool which we found out could be the cause of her recent development of Horner’s syndrome symptoms(but did not receive an official diagnosis). She has 2 different pupils sizes, eye shut a bit more, and 3rd eye lid showing. We have discontinued the Flagyl per doctor recommendations, but she recently developed a head tilt. She seems happy & is purring and most sites say the symptoms of Horners syndrome will go away on their own, but was curious if the buprenorphine could be a contributor to the nuerological symptoms as well? My cat was given this, with prednisolone, for a pancreatitis issue, and didn’t eat at al the first day I had to administer the meds at home (the vet had given an anti-nausea shot the day before and she did eat then. They didn’t say anything about giving the meds at different times; could that be why she doesn’t eat? Will try to separate them by longer time and see what happens, and msg my vet. same thing with my cat – he’s been on it since Monday for dental surgery and is not eating. He is drinking water. My cat is home now on the drug but wont eat or drink. He wont eat his antibiotic pills either and I can get the antibiotic in liquid form but he wont drink. Therefore he’s not getting the antibiotic, or food, or drink. He too has a pancreatic issue. Im so worried. If he doesn’t start eating he will quickly decline. Does anyone know if a cat can be given nutrient fluids through a syringe? Thanks for reaching out! We suggest contacting your vet with this information to get professional advice. So another site says that it can improve the appetite. Which is it? Have cap 9 days out from having all her teeth extracted or cap and crowned from lesions/absorption and she is has some fatty liver issues and not eating very much.